Yes, I am a resident of Dallas, but there are plenty of reasons to visit the city that have nothing to do with my residency! Dallas is a sophisticated, cosmopolitan city which retains the traditional hospitality of the south. It is a city alive with diversity, a booming economy, booming suburbs, and of course, horrible traffic. Regardless of the traffic, Dallas is not the city you may think it is. Let me introduce you and make you want to visit Dallas, Texas! Dallas hosts the Texas State Fair, and Tex watches over it all. Texas has the absolute best state fair in the country and it is the biggest (everything is bigger in Texas)! The Texas State Fair must be experienced to be believed. It represents the very best of Texas, new and old. There are still the livestock contests, the ostrich and pig races, car show, BBQ and Chili cookoffs, and incredibly strange fried foods like “fried margaritas” (you know southerners fry anything). In addition, the big Texas (UT Longhorns) / OU (University of Oklahoma Sooners) weekend occurs during the fair, which goes on for a month or so. When the Texas/OU game is played at the Cottonbowl, the entire city is bustling! This historical game has been played at the Cottonbowl since 1900, and fans flood the Dallas streets. The Texas Star, tallest Ferris wheel in the USA! It was built in Italy and moved to Fair Park, where the State Fair is held, in 1985. The “awning” of a food courtyard at the fair. Photo by Alexandra Minton. The Dallas Arts District takes up 69 acres in the city. The cultural heart of the city, the art district is famous for the Meyerson Symphony Center, the Winspear Opera House, Dallas Museum of Art, and the Nasher Sculpture Center, which also houses the Crow Collection of Asian Art. The Perot Museum of Nature and Science has become an educational center of the city, and we cannot forget the museums of Fair Park: the Women’s Museum, African American Museum, Natural History Museum, Texas Museum of Automotive History, and many more. The Sixth Floor is an important historical museum giving the history of the assassination of John F. Kennedy. The city never tore down the School Book Depository or Dealey Plaza, and while the city is not proud of the event, it does not ignore the fact that an American President was assassinated here. Fair Park. Photo by Alexandra Minton. Then there is Klyde Warren Park. Dallas is in love with this special park which was actually “created” on top of Woodall Rodgers Freeway in downtown Dallas! It is a beautiful green space in the city and it is known for its food trucks, dog park, Botanical Gardens and Children’s Park. It is nestled between the Arts District and Uptown, and is a favorite spot for yoga, lunch, and just relaxing. Dallas is a foodie’s dream come true. I cannot begin to describe every restaurant in Dallas because there are so many venues! From Farm to Table to Tex Mex, any type of food you desire is here. If you want to see the food scene with your own eyes, head over to Instagram and follow @blaylockphoto and enjoy Josh Blaylock’s iconic photos of the Dallas foodie scene. You can find incredible information at his website, eatwellDallas.com. If you have a sweet tooth, you can follow @sweetsweetDallas and enjoy fabulous photos of sweet treats all over the city. Incredible boutique hotels. I don’t know about anyone else, but I absolutely love one of a kind boutique hotels. The standout in Dallas is The Joule on Main Street. The Joule is unique with its dramatic art, restaurants and world-class spa. The Joule revitalized a neo-Gothic landmark building in the heart of Dallas. It doesn’t hurt that it is located next door to the downtown Neiman Marcus, a longtime shopping mecca.I can think of many other reasons to visit Dallas, but I’m going to let these 5 amazing reasons marinate. 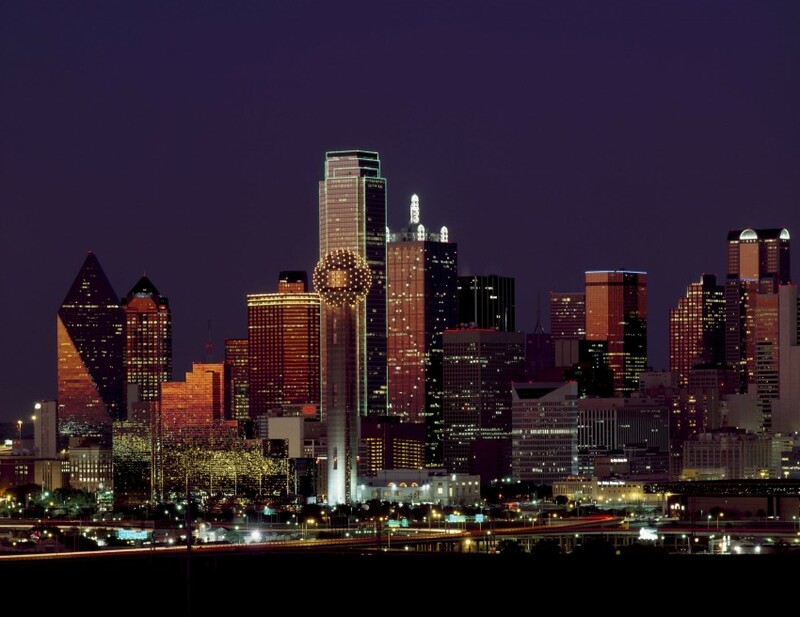 Be sure and put Dallas on your list of cities to visit, it is truly one of a kind and represents the cosmopolitan, but still hospitable, modern south. The Eye, a sculpture by Chicago artist Tony Tasset. Why is it in downtown Dallas? The Joule Hotel added it to their art collection! Article Written by Tam Warner Minton of Travels With Tam! The new-ish addition to Dallas’s landscape, the Margaret Hunt Hill Bridge over the Trinity River. The bridge is named for a well known Dallas heiress and philanthropist. The bridge was constructed as part of the Trinity River Project. Designed by Santiago Calatrava. 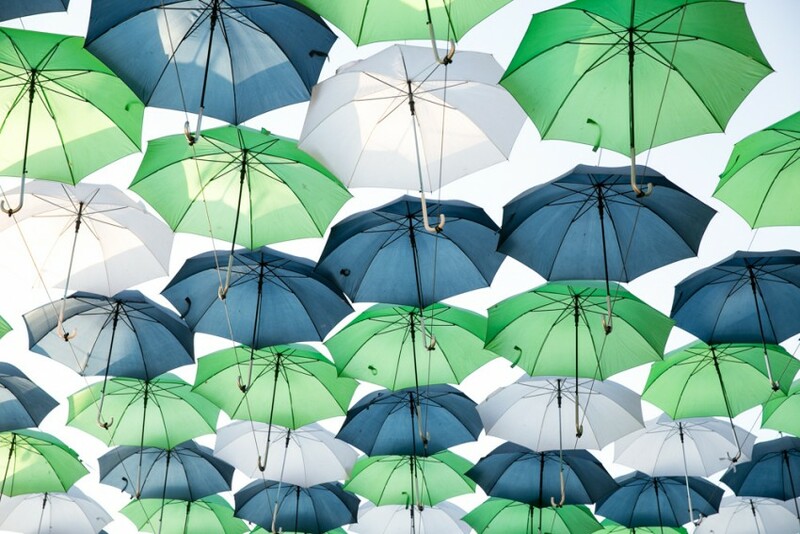 Love the umbrellas. Why is the Texas craft beer colored red? I’d love to visit the Dallas Arts District I’ve been to Dallas /Ft Worth area several times while my daughter lived there but somehow always missed the Art Scene in Dallas. Another place I have always wanted to see is Dealley Plaza and Sixth Floor Museum. I guess I’ll have to make a return trip to Dallas and do all the things I missed while hanging out with my daughter and grandson. Uyen, we’ve never taken public transportation in Dallas so I’m really not sure. We always Uber from the airport. Sorry!